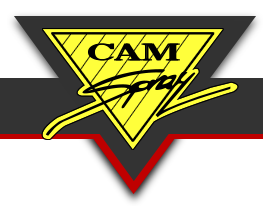 Cam Spray designs and manufactures commercial and industrial pressure washers, sewer jetters, and drain jetting systems. The company uses the highest quality components and proven designs to deliver superior performance and reliability over the long haul and to give their customers high ROI. Established in 1971 in Iowa Falls, Iowa, Cam Spray provides drain jetters, pressure washers, and water blasters to commercial cleaning, plumbing, and wastewater professionals all across the country. Cam Spray equipment is manufactured with the owner/operator in mind, and their standard models reflect the needs and wants of customers throughout all industries and applications. The company provides OEM manufacturing and private labeling of parts and washing systems, as needed.